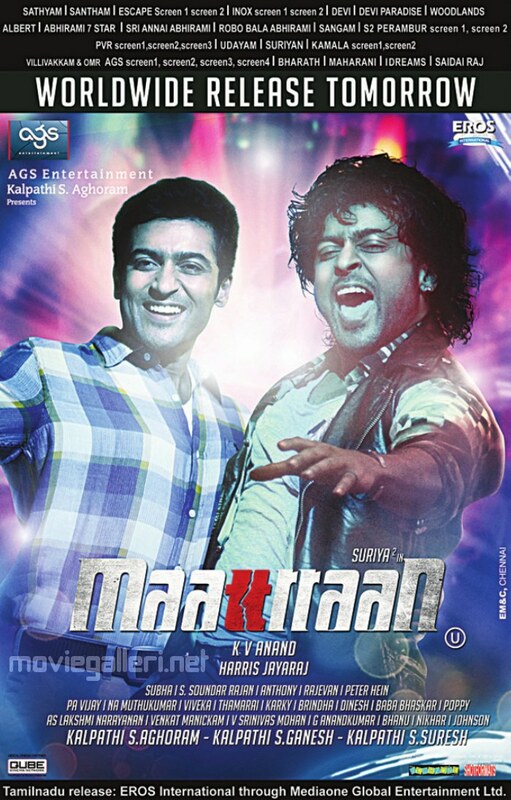 Suriya and Kajal Agarwal starring Maatran Movie Release Posters. Directed by KV Anand and Produced by Kalpathi S.Aghoram under AGS Entertainment. Music by Harris Jayaraj. Distributed by Eros International, Thameen Movies (Kerala), Gemini Film Circuit (Overseas).